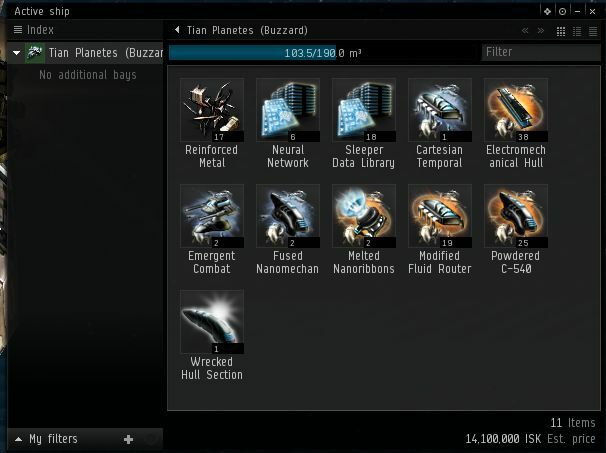 TL;DR – just read and follow this document for some low maintenance ways to make ISK via Planetary Interaction. I had setup 3 factory planets: import materials, process and output various P4 commodities (Sterile Conduits, Nano Factory, Broadcast Node). According to my spreadsheet (haha, I’m playing EVE, right?!) I make about $90K ISK profit for each of these. Exact amounts vary depending on costs of the P2 commodities, but it’s roughly $90K ISK after import/export, market fees, etc. If each factory planet can crank out 48 gizmos a day, over three planets, that is *drumroll* 4320 a month for just under $400 million ISK profit. That grows to just over $500 million a month if I built a 4th planet, and grows further if I bring in a third character. Obviously I’d want more factory planets, but they can only go on Barren or Temperate planets, so in the system I’m in, there can be only 2 per character. It would be huge profit in a system with 6 available Barren and/or Temperate planets! But, there is a downside… the logistics of feeding those factory planets. It involves a steady amount of purchasing materials, shipping to the wormhole, distributing around planets, collecting products, shipping to market, and repeating. Basically every day or every other day, I need to haul to market to buy/sell for another batch. There is a large outlay of ISK to buy the required goods, so my bank account(s) would constantly see-saw up and down. This isn’t bad, but shipping valuables both ways increases the window where something bad can happen. On the other extreme is the lazy man’s approach, better documented in the link at the top. There, just make some each P2 commodities – since I have lots of Gas and Storm planets, I make Coolant and also Mechanical Parts on the Barren planets. I seem to average 350 units of each item per day, on a 3-day cycle. Technically I set my extractors on a 2 day 23 hour cycle; that way it ends at say 9 pm, I reset them all by 10 pm, and then 3 days later they end at 8 pm to 9 pm again. If I set a 3 day cycle, if I reset the extractors 30 minutes late, it would finish 3 days later, 30 minutes later. Thus I would slowly creep later and later… however on the 2:23 cycle if I’m a few minutes late, it’s fine, and if I’m not too late, I have a buffer to work with and keep my PI reset at a consistent time. Anyway, this setup has several advantages. It’s for the lazy, first of all. I only need to reset the extractors every 3 days, and haul to market every 2 weeks or so. I’m not that in to shipping PI items back and forth as my dominant gameplay form. Here, all the Coolant and/or Mechanical Parts are profits to realize – I don’t have a large outlay buying raw materials, so I’m only carrying valuables to market, not shipping items back to the wormhole. My bank account thus slowly grows rather than swings back and forth, which is good for my sanity. Buying large numbers of a dozen or more items is annoying in the UI as well – the purchase goes through for the best price and you may not get the amounts you want, so then you have to buy the difference, etc. So for now, this is what I’m doing on Summer and Autumn. They are both training Interplanetary Consolidation to 5 – that 6th planet for each will directly bump my profits up! – and perhaps Command Center Upgrades. Having extra grid is nice but that isn’t holding my back, except for one gas planet due to lengthy routing. Still, an extra planet would be better than extra power grid right now. Aurora is training up various spaceships (Cruiser to 5, then Battleship to 4, then HM/HAM to 4) and missile skills. It turns out soloing Sleepers isn’t time effective in a Cruiser with Light Missiles so I’ll work those other one up for a while. It’s the waiting game for skills to train. 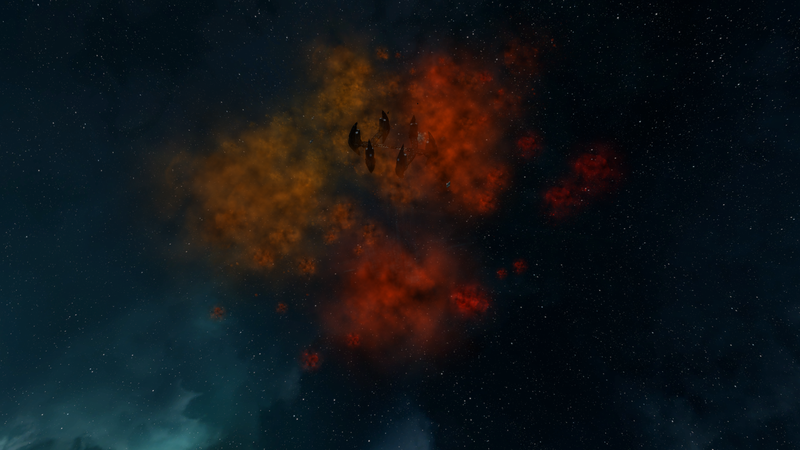 Part of me wants to join Aurora to a PvP corp and do some group combat. I figure 2 wormhole PI farmers is good enough. I’ve been in the wormhole about a month. Much of that time I’ve spent getting used to things, scanning, getting better at scanning, making many many trips out to K-space to haul stuff into the wormhole, juggling inventory, buy a few backup items and hauling them into the wormhole, etc. So while it hasn’t been a month of concentrated Planetary Interaction, I did finally get things setup and producing. I’m in a wormhole with 1 barren planet, 1 temperate planet, 3 gas planets, and 3 storm planets. The only tier 4 (Advanced) commodity I can make from those available resources is a Nano-Factory. So I have Autumn producing synthetic oil, superconductors, and polytextiles. This works out since I can make synthetic oil on a storm planet, superconductors on a storm planet, polytextiles on a temperate planet, and get reactive metals plus build the hi-tech production plant on a barren planet. However, I also need to make fertilizer, and that needs to happen on a temperate planet. Since there is only 1 temperate planet, I outsourced fertilizer production to another character, Summer. Anyway, so far so good and resources are definitely more abundant in wormhole planets than they were in empire space (especially hisec). Finishing the Nano-Factories will require Summer to pick up the fertilizer, then swap ships to Autumn who will then import that plus the other tier 2 (Refined) commodities to my factory planet setup. 8 MW! Argh. And that’s after I moved a few building closer to the launchpad by juggling routes, building replacements and shorter links, then destroying the extra. The 2 buildings with the longest links are the Hi-tech Production Plants and they are cranking away all the time; I don’t want to destroy/rebuild closer for fear of losing resources. The annoying thing is how close I am, combined with the fact that Command Center Upgrades 5 is like a 17+ day train. 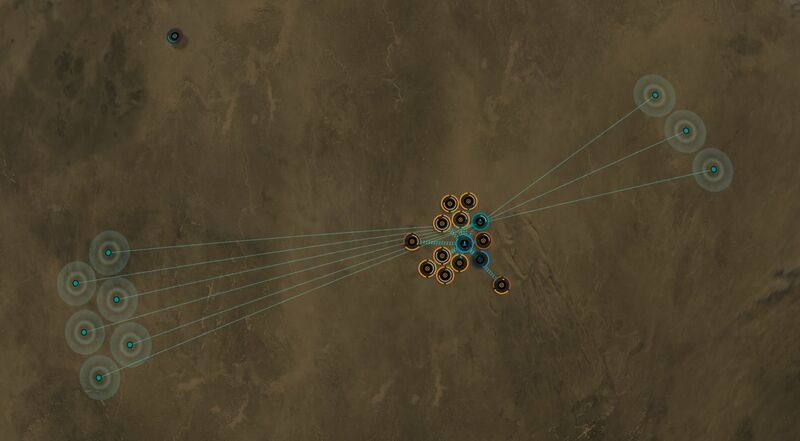 Well, I’m not missing too many Reactive Metals by only have 9 extractors instead of 10. It’s more that the next factory planet I build won’t be sloppy so it will fit 10 extractors. 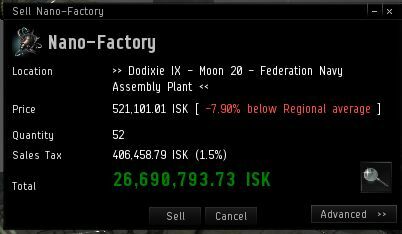 Anyway, I managed to build 52 Nano-Factories, which I sold for 26.7 million ISK profit. I’ll keep better track of all the expenses and time involved for the next batch of commodities I sell. I finally scanned a relic site on an evening I had some spare time to explore it. It went well, but slow, so I’ll make some changes before next time. I warped to the site to find 2 Awakened Escorts, the first wave of Sleepers guarding the site. Aurora was in a RLML Caracal which worked, but not very well. I found I could tank the damage of 2 or 3 Sleepers while killing one, and then have to warp off to repair armor and let my shields regen. Still, I made slow and steady progress and after ~45 mins or so, switched to my Buzzard to start salvaging wrecks. This took about 15 mins to finish up. Finally, time to try my hand at the relic sites with the relic analyzer! Unfortunately, after beating the mini-hacking game, I opened the cargo to find… nothing. This made me remember I had a cargo analyzer, so I used on the other 3 sites and also found nothing at all. 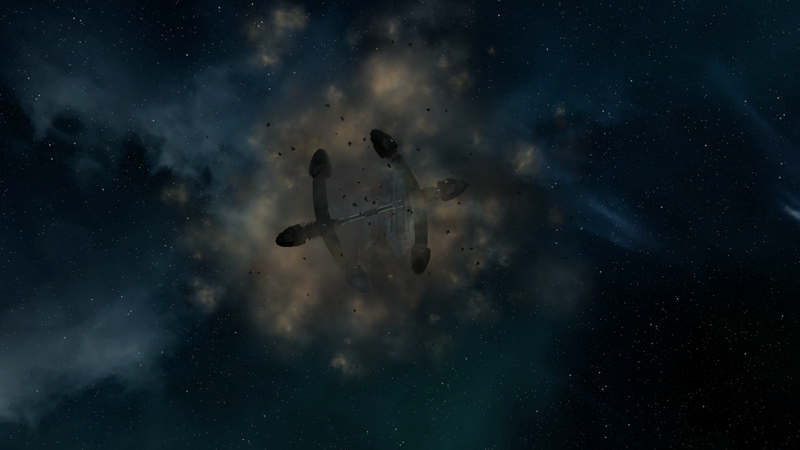 Except there was one more wrecked ship floating around, a Derelict Talocan Frigate. I don’t remember fighting it so perhaps it was also part of the relic site. I couldn’t open it, and before getting frustrated and leaving I tried the relic analyzer and up popped another hacking mini-game. I was rewarded with a Wrecked Hull Section for my efforts. So my total haul for this exploration evening fit into the cargo bay of my Buzzard. I was able to sell everything at a hub for a total of 12.1 million ISK profit. That’s decent, and it was fun to collect. I understand exploration is kind of like a lottery, sometimes you don’t get much but once in a while you hit it big. Now, things to change: RLML is too slow. In the same trip where I sold this stuff, I refitted to Heavy Assault Missile launchers and Mjolnir Heavy Assault Missiles. I’m hoping the extra DPS takes down the Sleepers faster, making the whole thing take less time, which makes me less vulnerable to somebody passing by and jumping in. Second, I’ll try working the relic site before looting wrecks. I was bummed 4 of the 5 cargo holds were empty (I’m counting that Derelict Telocan Frigate as part of the relic site), but maybe there is some timer and the loot despawned while I was salvaging wrecks. Another possibility is a cloaked player just hung out while I fought all the Sleepers and zipped in while I was salvaging, but I had D-scan up and was checking it every 30 seconds. But, it is possible. Basically, next relic/data site I find, I hope the HAM Caracal clears the Sleepers faster, and I’ll try analyzing the site before salvaging wrecks. Another thing I did is buy the Caldari Battlecruiser skill book; it’ll take a while but I’ve read the recommended wormhole ships are Strategic Cruisers or Battleships. I need Battlecruiser to 3 before I can train up Battleships, and then I’ll need a whole lot of bigger missile skills as well. Someday I’ll finally finish moving stuff *sigh* and then not have to deal with it for a while. I decided I really needed to get Aurora’s combat ship into the wormhole, so I could try things like “kill the sleepers” and search relic/data sites. So I popped out of the static exit into Moselgi, and began the long tedious process of traveling to Jarizza where Aurora left her Caracal. 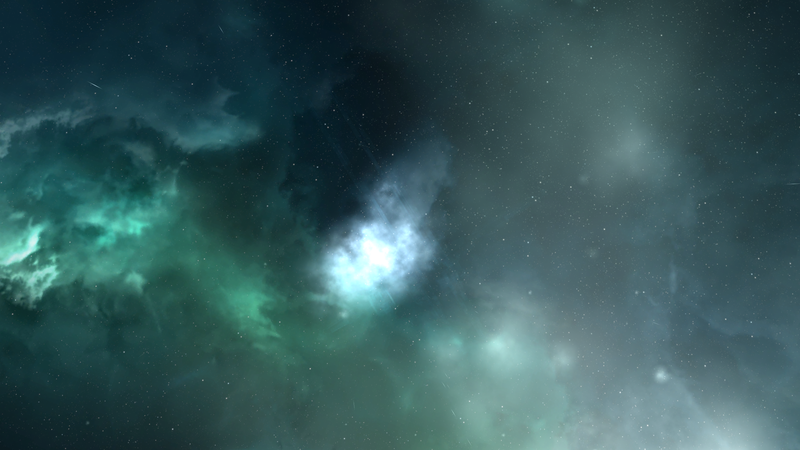 Aurora was flying an Iteron, a shared Industrial ship between my 3 chars in the wormhole. After getting there, I repackaged the Caracal, tossing away a rig or two. 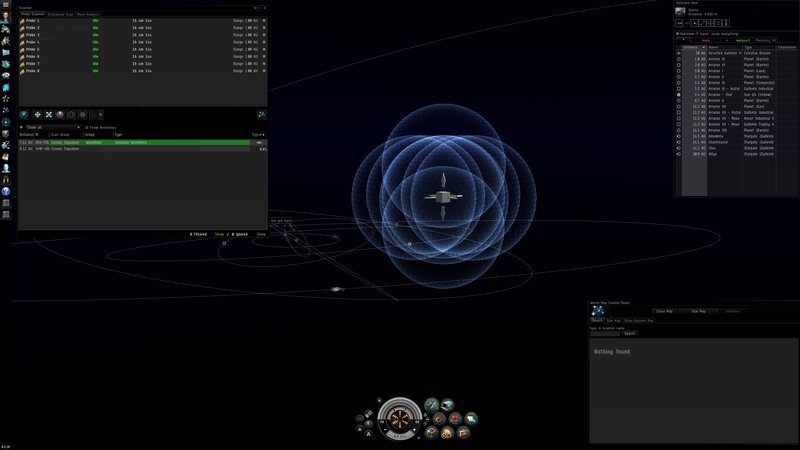 Then I dragged the Caracal into the Iteron and got an error message about the Caracal exceeding the 6000 m^3 of space. I forgot to check the size of the packaged Caracal. I had been moving frigates around earlier and all of those packed down intoe 2500 m^3, it didn’t occur to me that a cruiser would not fit. Unfortunately for me, cruisers package down to 10000 m^3, and that’s more space than the cargo bay of the Iteron. There I was, hopping mad mostly at myself for not looking at the ship attributes, but still needing to get the Caracal into the wormhole. So I assembled the ship, bought the two rigs I had just destroyed in order to re-fit the ship, loaded up all the modules, and started flying back to Moselgi. After another tedious amount of time, I arrived in Moselgi and warped to the K162. But there was nothing there. I checked and double checked but didn’t see it, so I finally docked into some spaceport and swapped over to Autumn, who was in the wormhole. In a few minutes I had scanned down the N110 exit, and found that while I was out trying to get Aurora’s ship into the wormhole, it collapsed and reformed. The new hisec exit was… Oursulaert, a mere 16 more jumps away. Sometime, EVE seems like it messes with you out of spite. 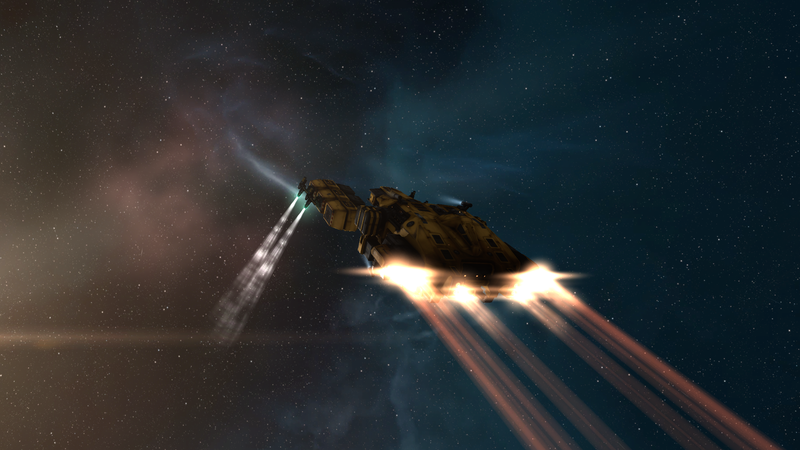 I finished up bringing the Caracal into the wormhole, staying up past my intended bedtime. I put off retrieving Aurora’s Buzzard until sometime in the future. Basically, if you are thinking of moving into a wormhole, plan better than I did. 😉 Maybe have your PI character move a packaged exploration ship, modules, and a few command centers in a hauler, fly a combat character in with their combat ship, switch to the hauler and exit back to K-space to pick up another packaged exploration ship, then return. That would help some, and so would having your chars plus their important stuff in the vicinity of each other. As I recall, my chars were fairly spread out and I moved them into the wormhole one at a time over a few days. So the system the K162 was in kept changing. One thing I’ve noticed from scanning in the wormhole are gas sites. I always ignored them but I had a few minutes and went to take a peek. OK it looks cool but didn’t look too exciting. But I didn’t really know much about gas clouds, so I went to the Eve University wiki and did some reading on gas cloud mining… well it looks like a worthwhile activity after all! The next night I had a chance to try it out, as my wormhole scan revealed a gas cloud. Warping to a gas cloud starts a timer – 20 minutes later Sleepers show up. So I decided to sneak in and harvest until ~15 mins or so, at which point I warped away. My harvesting process involved targeting the gas cloud (after making sure Harvestable Clouds was checked in my overview) and then enabling the Gas Cloud Harvester modules. I also had dscan open and scanned every 30 seconds or so… you never know who else might be in the wormhole looking for a fight! Fortunately I harvested in peace and warped back to the station to store the Fullerite C-50 gas I had collected. The other day while scanning for the static exit (which led to Sharhelund this time), I found 1 data site and 2 relic sites first. I decided to check them out. I went to take a closer look, but was uncloaked when I got close to the structure. This attracted the attention of the Sleepers, who greeted me with missiles (I think). I was busy trying to warp to safety and only remember getting out with most of my shields and armor gone. Close call! But alas, my Buzzard isn’t really equipped for fighting, so I kept my cloaked distance. I also looked at the data site, and came in on the side. I uncloaked about 40km away from a Sleeper, but it noticed me and shot a missile in my direction. Once again, I bugged out. So, that was kind of disappointing, but at least my ship and pod survived. I’m not sure I can sneak in and loot a relic or data site without being prepared to fight the Sleepers, so I might need to bring in Aurora’s Caracal cruiser. Then I’d do the scanning and bookmarking in the Buzzard, return with a more of a punch in the Caracal, and then come back again in the Buzzard? I’m not sure how else to go about it, other than fly a fancier ship that can scan and fight well. I think strategic cruisers do that, but those are a long ways off. I’ll try the 2 ship/3 pass method another time and see how well that works. 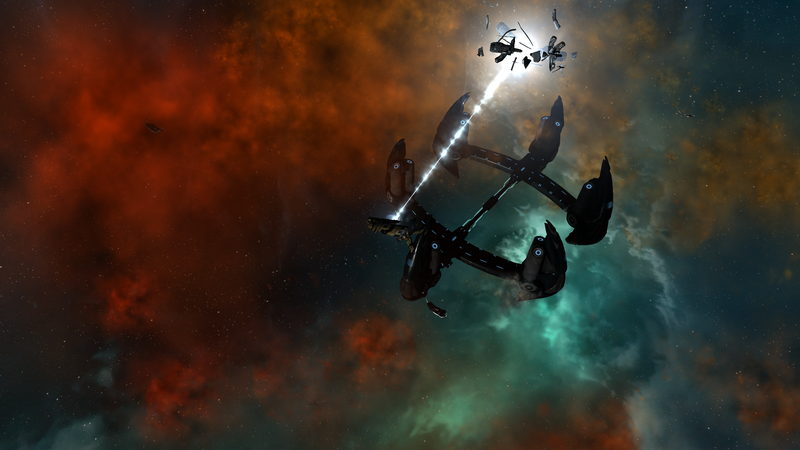 I read about people looting exploration sites before attracting attention, but perhaps those tales were of nullsec or losec exploration. Wormhole Sleepers definitely notice when you come near! 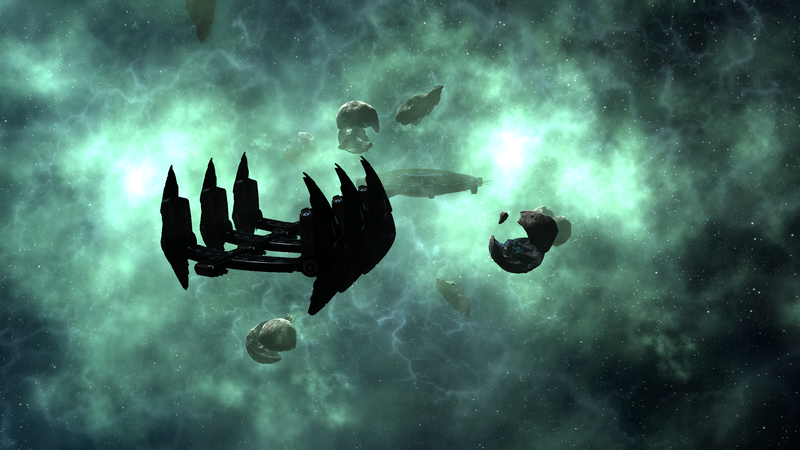 I’m getting more comfortable in the wormhole; granted I spend most my time in the POS force-field or cloaked. I jumped out our static exit and have found myself in Gid and later Arraron – the latter was close to some secondary trade hubs so I took advantage and bought a few things. On that shopping trip, I did the rookie mistake of forgetting to bookmark the K162, so I had another opportunity to practice scanning. I’m getting better, this time it only took 3-4 minutes to find my way back! I also setup planetary command centers on Summer, my designated PI farmer. Who knows, maybe I’ll expand, but Aurora’s current goal is more focused on exploration, combat, and skilling more into cruisers, while Autumn’s immediate goal is to train to a decent explorer with core support skills as well. After all, Autumn is my tertiary char on the account and I kinda want to stop PLEXing her skill queue after a month or two more. Speaking of Autumn, I joined her to the corporation as well. While she could stay in the wormhole and scan for exits should Aurora and Summer ever be in K-space when the K162 collapses, it’s nice to have access to the POS and corporate services. The whole community nature of the hangar array is weird, but then I can share my Iteron among my characters. Aurora and Summer will need to train Gallente Industrial a bit, but that’s easier than buying and fitting 2 extra haulers, and eventually when I get an Epithal all characters can use that too. I plan to purchase an extra exploration setup for each char – ship and modules, and haul them in for storage in my personal area. I figure someday I’m going to lose a ship and it would be nice to have another one around in the wormhole if my capsule survives and I can get back to the POS. It’s been a while since I did any, and I had to jog my memory watching the short and excellent intro video CCP made. It all came back to me after also fiddling around. I have a few planet types available – gas, storm, barren, temperate – which could be used to make the P4 advanced commodity Nano-Factories, but at first I think I’ll just experiment around and try to max out P0 extraction and processing into P2 refined commodities. Last time I was too focused on creating the end-product; this time around I see that maxing out the earlier steps will result in larger yield overall. Anyway, I’m just getting oriented in the wormhole, I also plan to hit up some exploration sites after I find my rhythm. There is lots to do and it’s fun working towards some new activities.